Any job search starts with creating a professional and up-to-date resume. It is even more important for those, who are planning to enter the IT world or simply want to switch the field of interest. There are many specialists on the modern market of information technologies, so being able to make a favorable impression is crucial if you want to get a job offer. When you see a perfect vacancy, don’t rush to send your it professional resume at once. Think of the things, which make you stand out from other candidates and devote enough time not only to covering your tech skills but also to explaining how the field will benefit from your employment. Once you are ready, start with creating a perfect it resume! There are multiple it jobs on the market, so it is impossible to send out the same CV to various companies, hoping that they will invite you over for an interview. Although there is a common pattern of the sections, your information technology resume should consist of. Every resume starts with personal details, like first and last name, phone number and email. Then you need to describe your career objective in a simple and clear manner. A sentence or two will be more than enough. Software you use and so on. Here you need to make a list of your previous experience in a reverse chronological order to make the text readable and clear. If you still lack experience, use a functional format to highlight your skills and achievements. Give a brief summary of the colleges or professional training programs you have completed to prove that you possess necessary skills. Although this section is may not be so important if you are willing to find an information technology job. This section is optional and not many hiring managers pay attention to it. Although if you complete the task with an artistic approach, it may become a bonus. Here you can write about your awards, certificates, hobbies and all the information you consider useful. 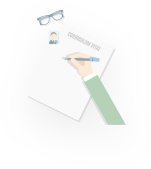 One of the most difficult components of the job hunting process for IT professionals is resume writing: despite having years of experience in this complex field, they sometimes struggle when it comes to presenting their skills in an outstanding way. However, we believe that a sample IT resume can solve this problem for good. A sample resume for IT jobs contain all the information required to succeed with writing your own resume. You can see the structure and the content more clearly, and that will inspire you to craft the best and most effective resume of your career. Study every information technology resume sample created by our writers to find your own voice for writing a resume! What Makes Your IT Resume More Successful? Proofread and edit your technology resume. Even though you are not trying to occupy a position of an English teacher, your CV should contain no lexical or grammar mistakes, so spend enough time on correcting them. IT resume writing is a challenging assignment, as most programmers and developers deal better with numbers and strings than with words and sentences. That is why to be able to reflect your professional experience and it skills in the best way, it is better to turn to a professional writing company. 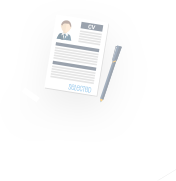 Such specialists will complete your CV on information security, design or other related experience, meeting all the deadlines, following the indicated structure and creating a powerful CV. Just contact us, write ‘create my resume’ and we will do the rest!